As much as I loved this hostel, they sadly didn’t have room for me any longer as I was only able to book three days with them. This, of course, meant it was moving day for me. I said my goodbyes to Danika and Keaton and by 9:30 I was on my way to my new hostel. I must admit, I’ve gotten pretty confident with getting around and finding places. I have a map app (maps.me) that I mark with everything I need (hostels, places to visit, subway stations etc). The map works offline so I can just bring it up as I’m walking around and let GPS show a little arrow pointing me in the right direction. When I first started traveling I used to meticulously write directions to hostels down but now I just follow the arrow on my map. Today, sadly, I was brought back down to earth as I wandered around hopelessly lost looking for my new hostel. Instead of a 10 minute walk from the subway station it took me 45 minutes to finally find my hostel and then it was only because I got help from a Russian and a Chinese man. I was able to head to the little dot on the map with no problem but I couldn’t find the actual building my hostel was in. I wandered around, my little arrow just hovering around that damn orange dot on my map. So close! I was so close! I knew it was right there but I couldn’t find it. Ah, if only I had written down the address! 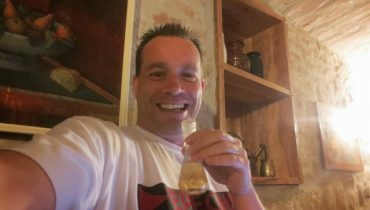 During my search I came upon a Russian guy who was also looking for a different hostel. He had Google maps which actually brought up an address for my hostel. The address, though, was written in Mandarin and the translation was written in Russian so I was still lost. Thankfully a Chinese man was around and was able to read the Mandarin address and we were able to decipher that, like the little dot said, the building was the one I was standing right outside of and the hostel was in room 709. Oh my God! I literally jumped for joy! 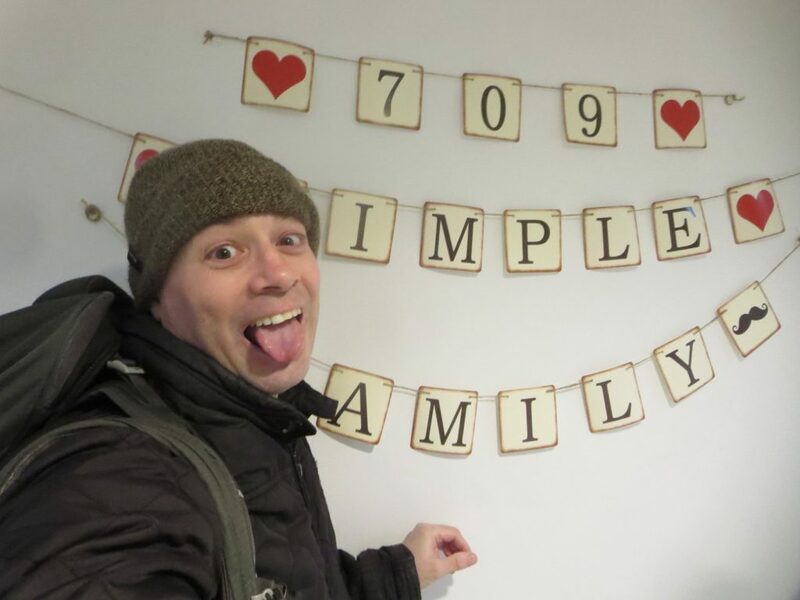 Ironically the new hostel is named Simple Hostel which, obviously, was anything but for me. I entered the hostel and the woman who owned it knew exactly who I was which I thought was weird until later on when it soon became apparent I was the only non-Chinese person staying here. 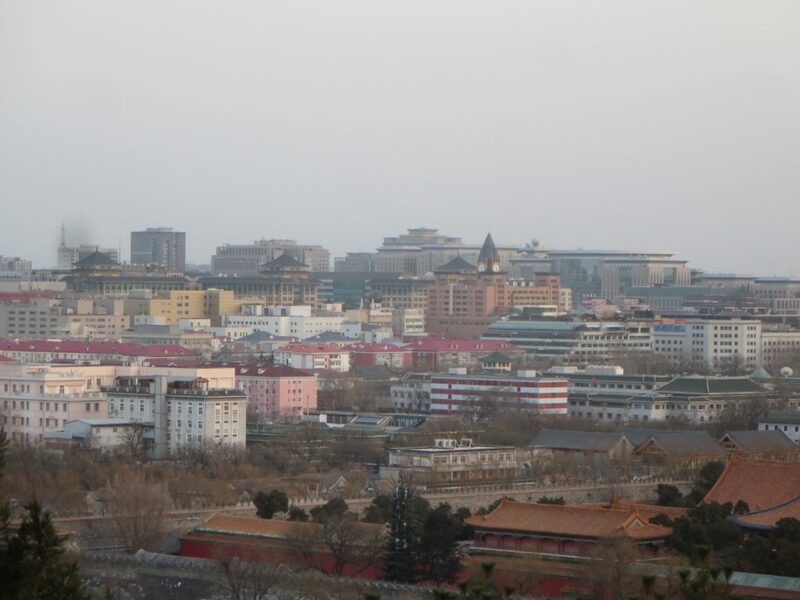 The place is more of a home for Chinese students in Beijing learning English. I mean, the hostel was actually pretty nice but it obviously had no backpacker vibe to it at all. 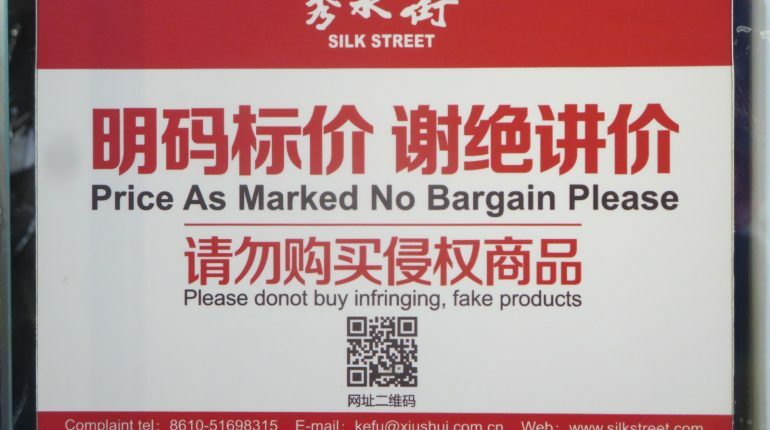 Once I got everything setup I headed back out and down to the Silk Market, a famous place in Beijing for shopping. I was in need of a need backpack as my beloved one I’ve had since I started this crazy traveling exploration back in 2013 had a broken zipper. 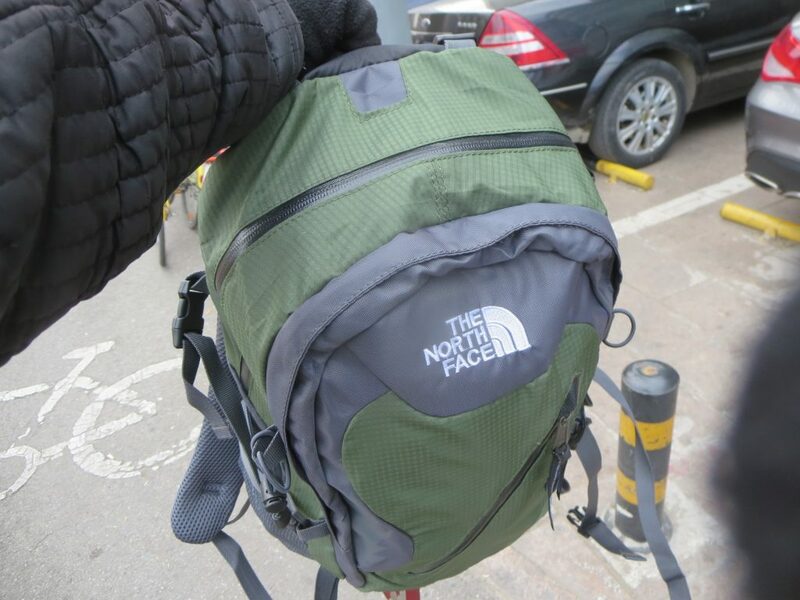 Now, I was unaware that bartering was a thing in China until I was quoted 1920yuan ($400) for a backpack. Considering I was looking at paying $20, maybe $30, I was quite taken aback by the price quote. Naturally, the sales girl wouldn’t let me leave the store and the price immediately dropped down to 1500yuan ($300). When I still balked at this price she suggested I tell her my price. Anyway, long story short, I got the bag for 150yuan ($30). 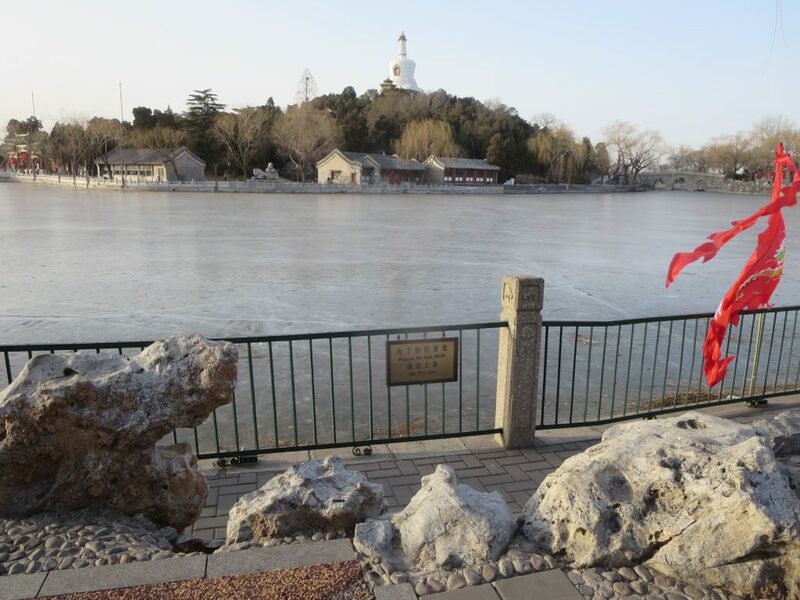 It’s amazing to me that the initial quote was so ridiculously more and I can only imagine how many naive tourists go in there just not realizing how much 1920yuan really is in their local currency. Anyway, I bartered and I won! 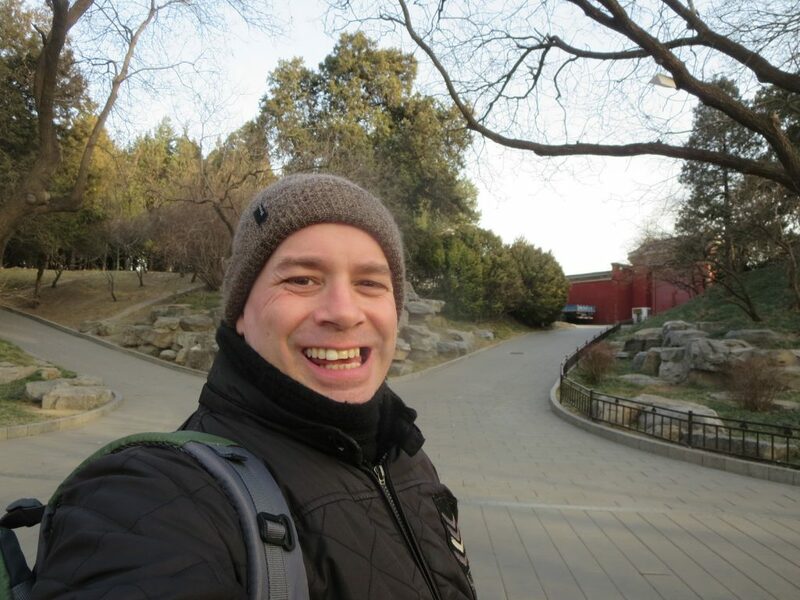 After grabbing some lunch and doing a little charades at the pharmacy to get some chapstick, I was off to meet up with Danielle who I had met yesterday on our Great Wall tour. 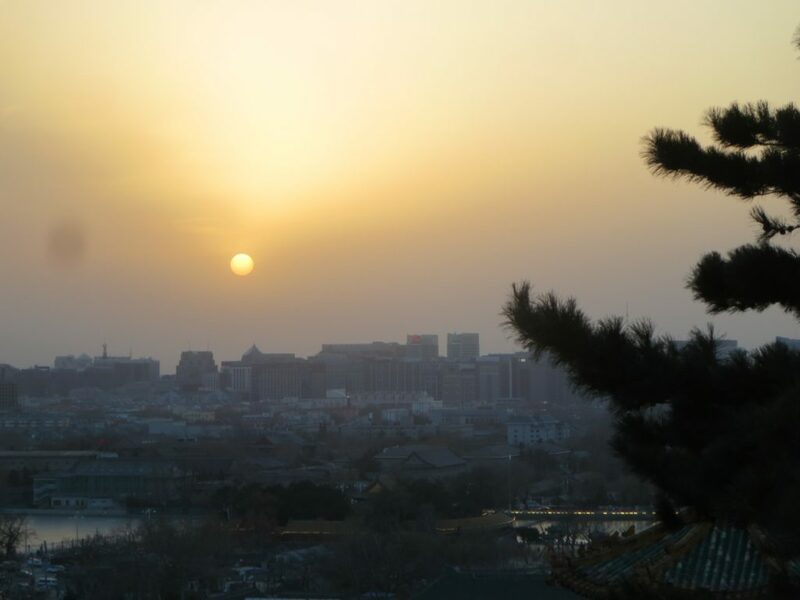 She was walking through the Forbidden City (something I had already done a couple of days ago) and we made plans to meet up at the exit of the City in front of Jingshan Park at 4:30 to see the sunset over the city. 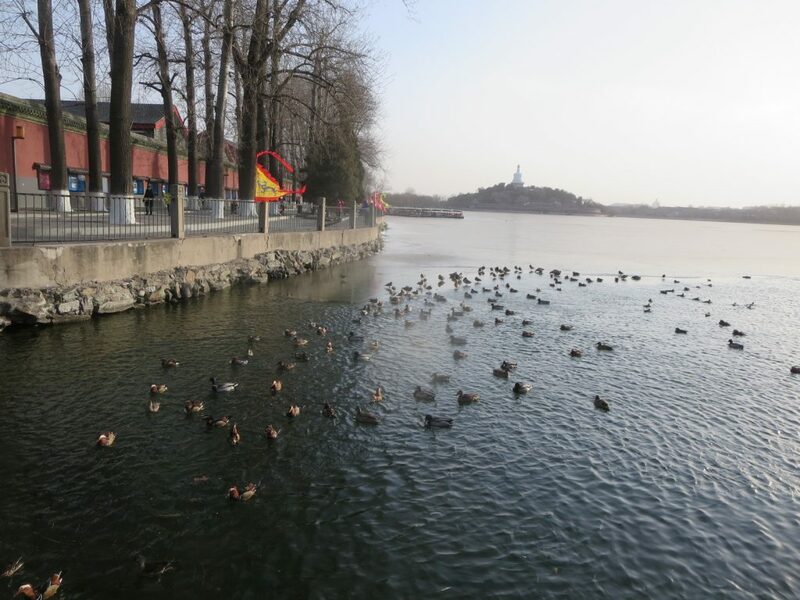 To get there I walked through Beihai park which is a beautiful piece of nature in the middle of the city. It was so quiet and tranquil and a beautiful half hour walk along the lake. Of course, me being me, I didn’t quite time things right and I had to do a little power walking through the park in order to get over to our meeting point on time. Let me just say that power walking when your quads and thighs are killing you from climbing the Great Wall the day before is not a thing I would recommend people do. Damn, were my legs burning! 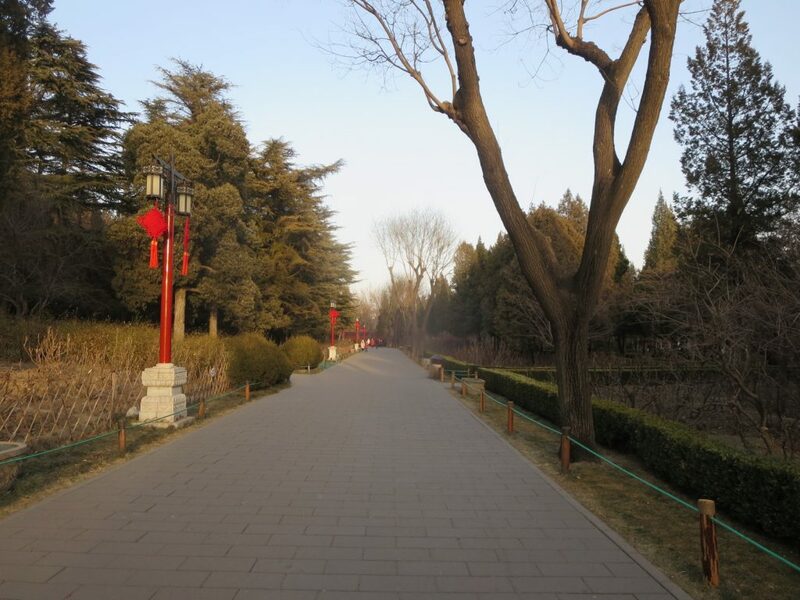 At just after 4:30 I met up with Danielle and we crossed the street to enter Jingshan Park. I couldn’t decipher how much it was to enter the park so I just gave the girl in the ticket both a 100yuan note and felt a little silly when she gave me 98yuan back in change. Yup, I paid the equivalent of $20 for a 40 cent ticket. 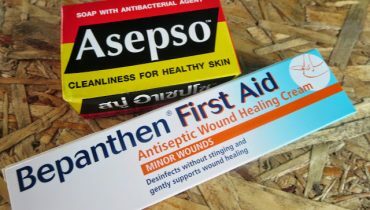 Try that at home and see if you don’t get dirty looks. 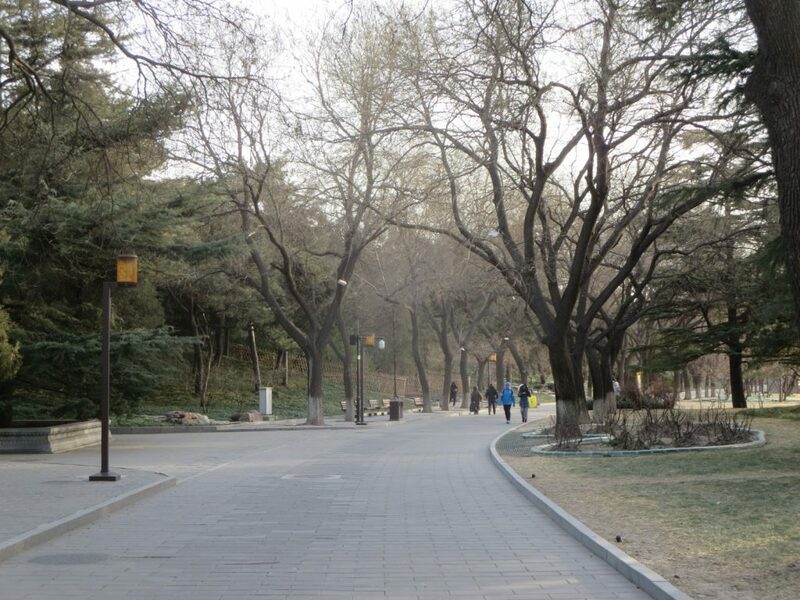 Anyway, I don’t know if I’ve mentioned it but Beijing is damn cold in February. It’s about -4C (28F) but it’s also very, very windy so I’m sure the actual temperature is much colder. Let’s just say we’ve all been freezing our asses off over here and even being bundled up with gloves, a scarf and a beenie doesn’t help ya when there’s wind blasting in your face. Of course, what did we choose to do? Well, climb up a hill in the park where it’s windier of course! 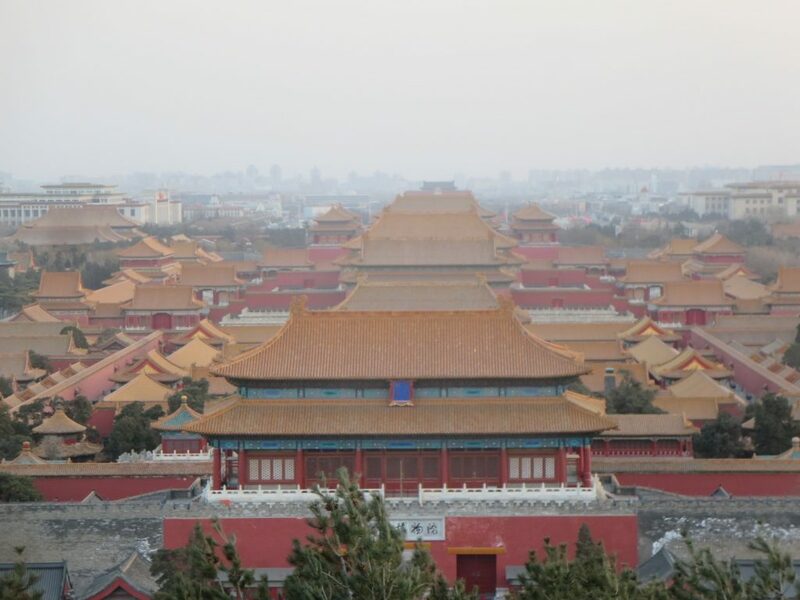 We did get a great view of the entire Forbidden City from above but we left before the sunset because, frankly, we were freezing and the smog was blocking out the sun for the most part anyway. The closest subway station to this part of town is 30 minutes away which seems ridiculous to me as this is a pretty high traffic area and there are over a dozen lines running underground. We decided we would cab it to our next stop but it very quickly became apparent that this would be a fruitless endevour as cab after cab passing us had passengers inside already. Eventually we just did the long walk to the subway station. Did I mention it was cold out? Yeah, very cold. Anyway, we had something great on the horizon to take our minds off of all that pesky cold weather stuff. 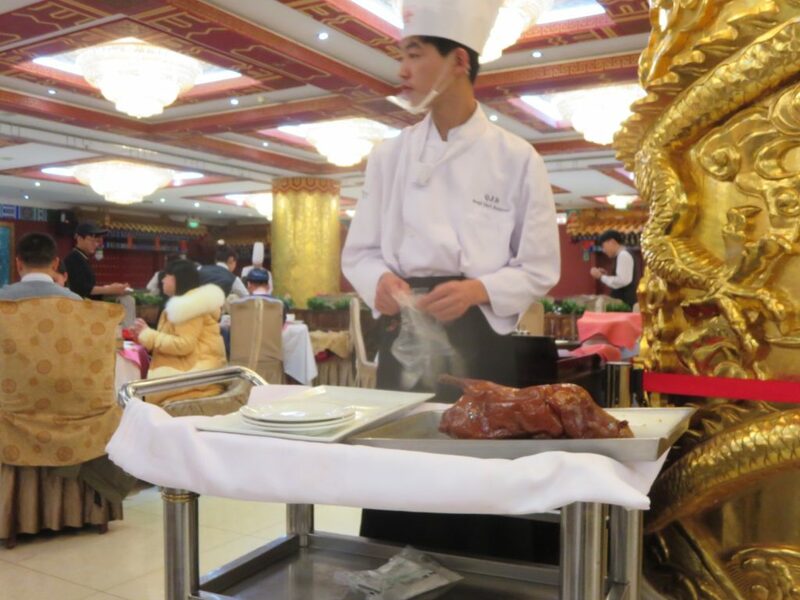 World famous Peking Duck was awaiting! 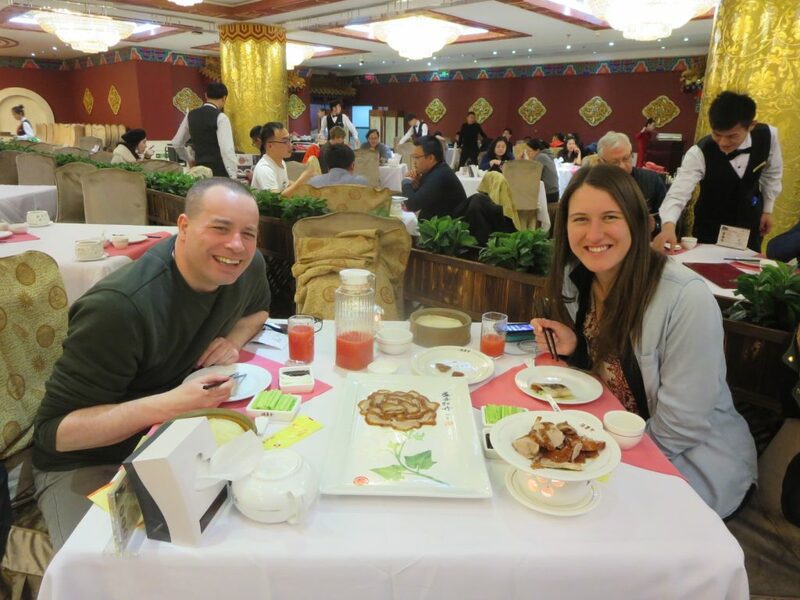 After a trip back to the Silk Market to test Danielle’s bartering skills we were off to the best duck restaurant in town, Quanjude. This place is fancy and, in relative terms to China, pretty expensive. But we were doing duck and we were gonna do it right. We both were so happy that we had someone to share this experience with as it just wouldn’t be close to the same doing it on your own. 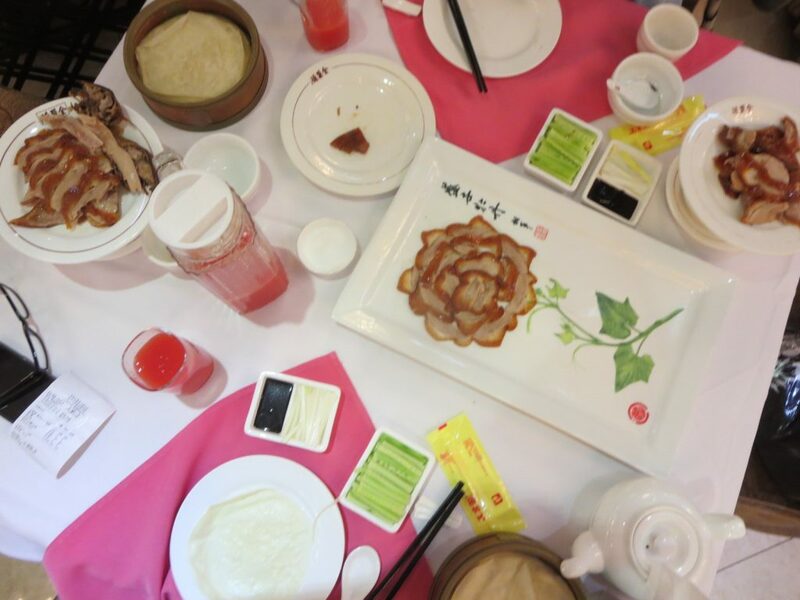 Along with the duck and its’ accompanying sides, we also ordered a couple jugs of watermelon juice. Damn, I love watermelon juice! 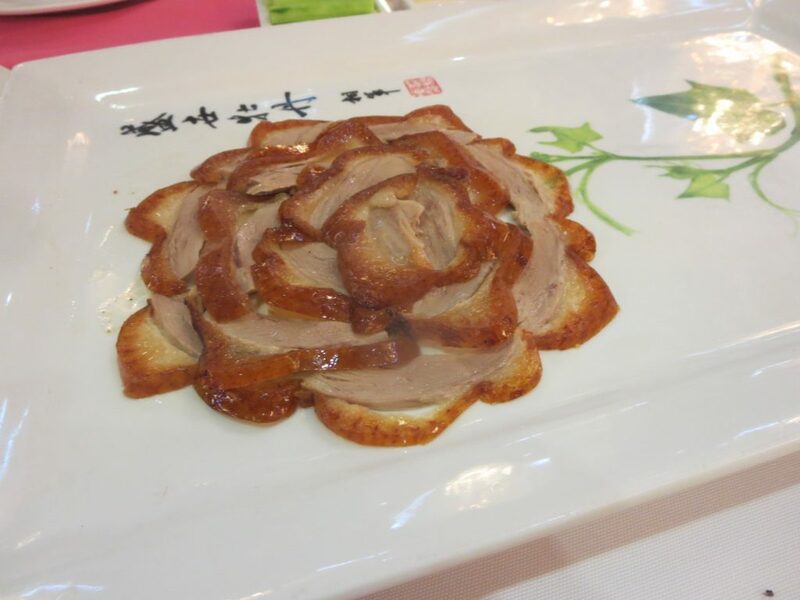 Each duck that’s ordered is carved tableside by a chef who meticulously carves off different sections of the duck for you. By the way, Danielle and I are both in agreement that the duck skin dipped in sugar melting on your tongue is quite possibly the best thing ever. Anyway the whole experience is actually quite a spectacle and definitely worth the price. In total the bill was 580yuan ($120) so $60 each. Ironically the big dent in our check was the watermelon juice at 100yuan ($20) a jug. By 9:30 we were done our dinner and after trying in vain to find a non-existent night market that was supposed to be nearby, we parted ways an hour later. So, a day that started off with me walking around in circles hopelessly lost ended on the highest of high notes.